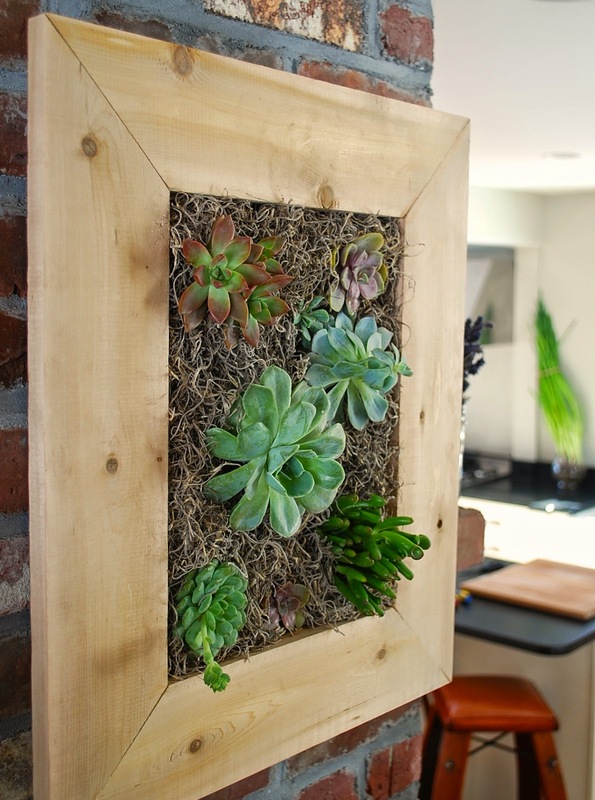 For the longest time now, I've wanted to try my hand at building a vertical succulent planter. In fact, it was this time last year that I'd purchased some plants for this very purpose. Fast forward a year later, with all of the snow we've been getting, I've been trying to find some creative gardening activities to do indoors. This seemed like as good of a time as ever. A few months ago, we converted the bottom floor of our barn into a little workshop. Building this planter in this warm and cozy space (and away from two kids with major cabin fever) was just what I needed to keep myself sane while a blizzard raged outside. The build was pretty straight forward, and considering that it was my first time, only took about an hour. I won't go into detail about how I put this together, but I essentially followed the design instructions provided in the video below with some slight modifications. I used a finer hardware cloth and added some foam weather stripping to the top of the box to create a tighter seal when the box is attached to the frame. And unlike the instructions below, I also added the bulk of the potting mix to the planter box before I attached it to the frame. For this particular planter, I chose cedar as my wood of choice. Then came the fun part - arranging the succulents. A layer of Spanish moss helps to keep the soil in place and covers any exposed hardware cloth. I tried not to overcrowd the planter as these succulents will grow and fill out this frame. I was really happy with how this project turned out. 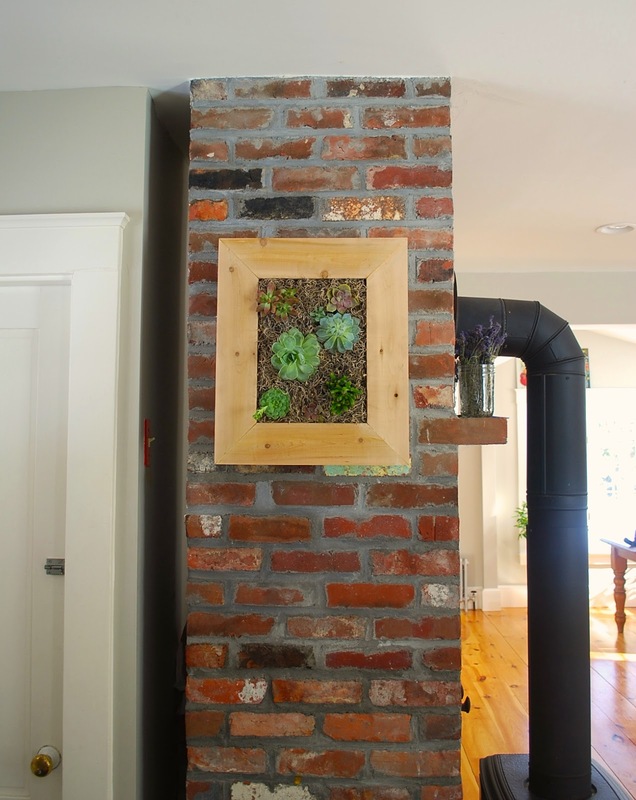 This vertical succulent planter now hangs next to the entry way to our kitchen. I was a bit concerned that some of soil mix would fall out once the planter was hanged, but in reality, the hardware cloth and Spanish moss did a great job of keeping things tidy. Not a speck of dirt in sight. 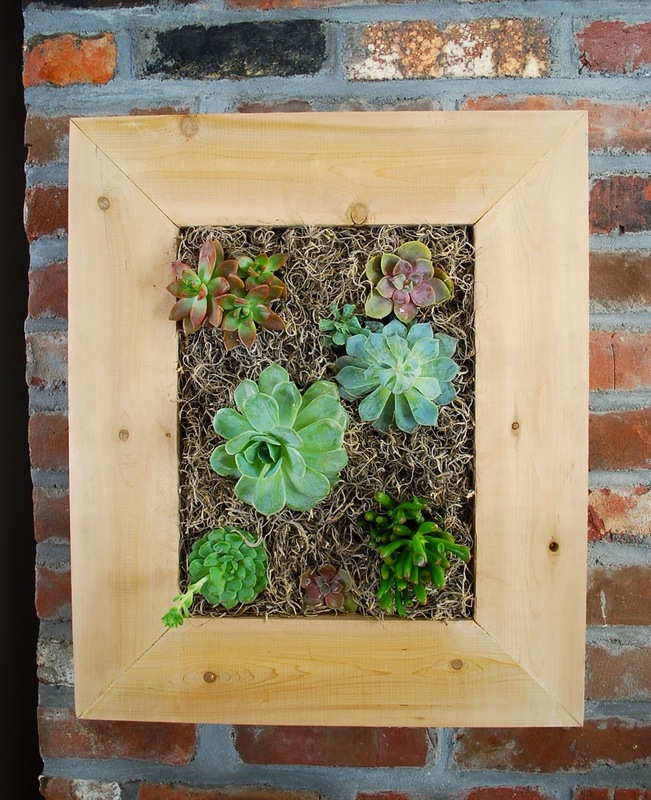 I love the way the succulent rosettes and untreated cedar frame add a nice contrast to the red brick. It definitely adds an organic element to this space. Upkeep seems to be pretty easy as well. You just take it off the wall for some light watering every couple of weeks and then let the soil absorb the water for a few minutes before re-hanging. If you'd like to learn more, here's a great video on how to build one of these vertical succulent planters. Looks terrific..........and an easy(ish) project. That looks really nice on the brick all. That is just gorgeous. I love succulents and have been wanting to do some sort of planter with them as well - although I don't think I'm ambitious enough to do a wall hanging quite yet. And your barn workshop sounds amazing! Pretty succulent planter, thanks for sharing. حيث تعمل علي راحه العميل وامانه . الان من خلال اكبر مراكز صيانة وايت ويل في جميع انحاء جمهورية مصر العربية نقدم لكم افضل فريق خدمة عملاء للرد علي اسئلتكم واستفساراتكم علي مدرا اليوم وايضا من خلال صيانة وستنجهاوس نستطيع ان نوفر لكم افضل خدمات في صيانة الاجهزة الكهربائية علي اعلي ميتوي من خلال فروعنا المعتمدة فقط.